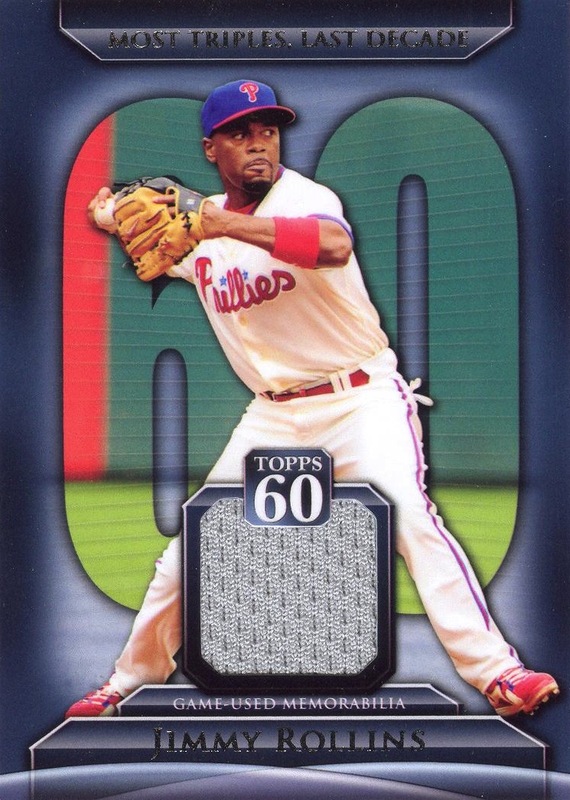 Additional Information: Distributed in packs of 2010 Topps and 2010 Topps Update Series. 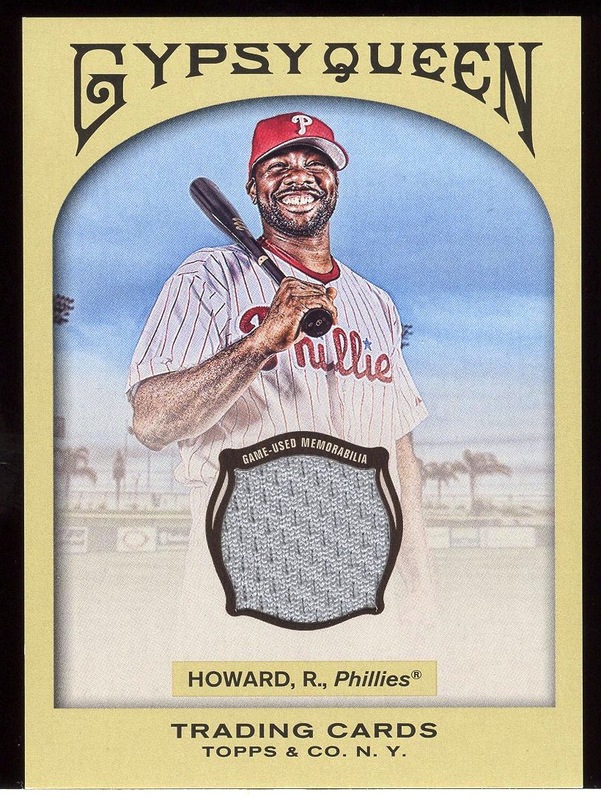 Topps issued a different version of the Ryan Howard autograph card in each of Topps series one, Topps series two and the Update Series. 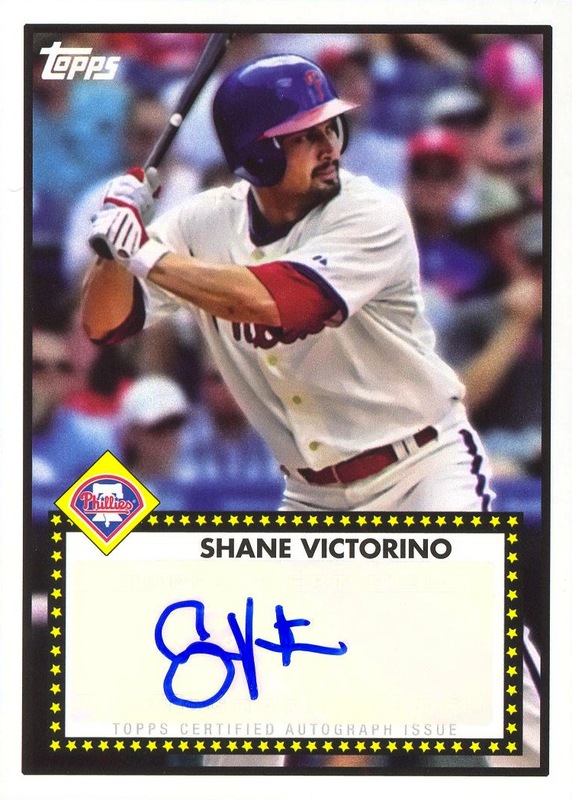 However, Topps neglected to edit the card number. Descriptions of the cards are included to help differentiate between them. 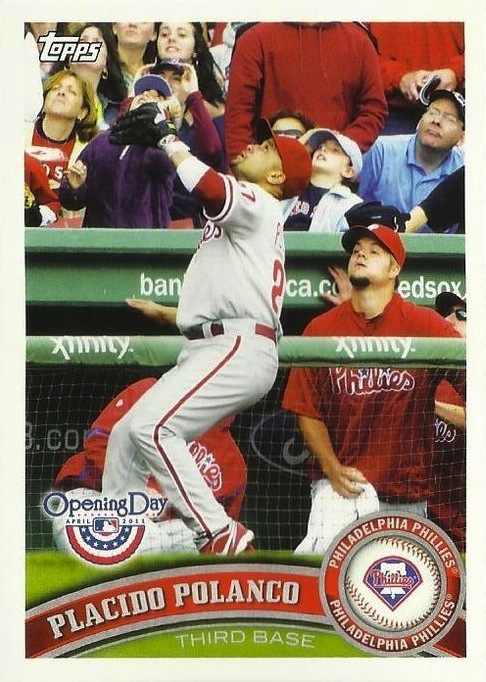 Carpenter, Ruiz, Polanco and Victorino do not appear in any of the other Peak Performance insert sets. 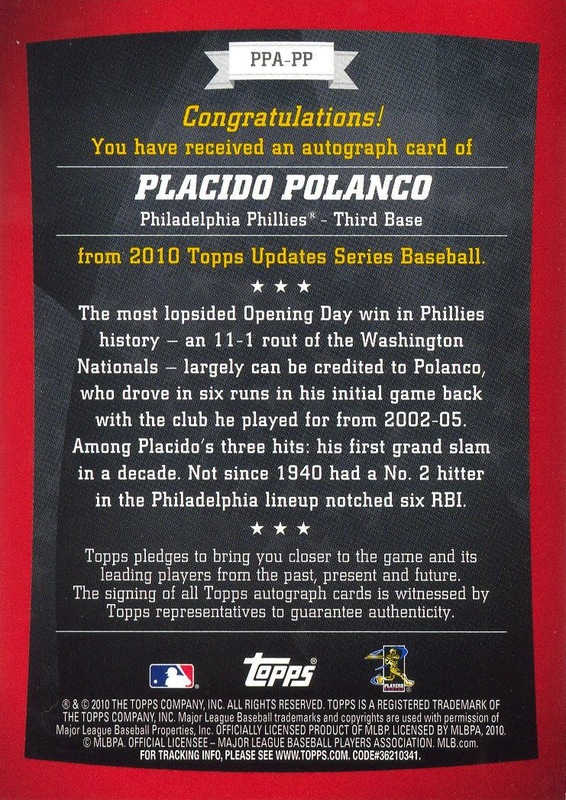 Additional Information: Seeded in specially-marked packs of Series One 2012 Topps. 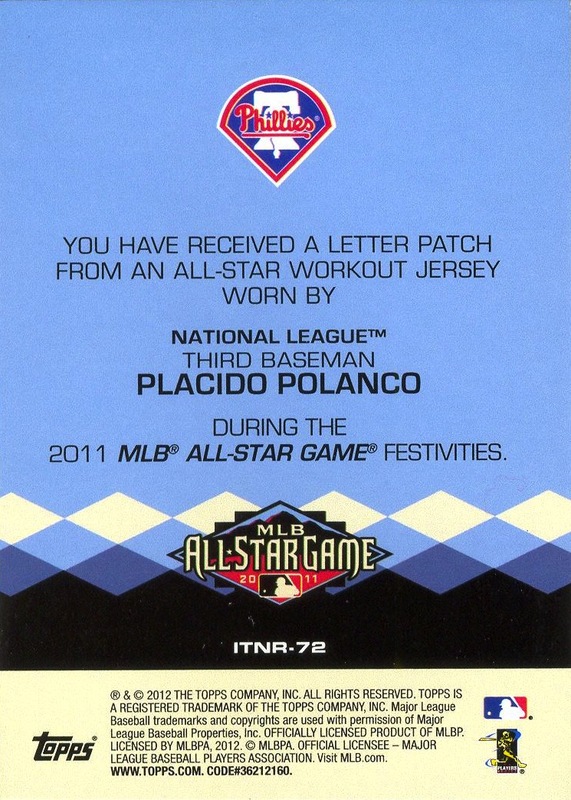 Each card contains a jersey swatch bearing a letter from the player’s name plate attached to his All-Star Game workout jersey. 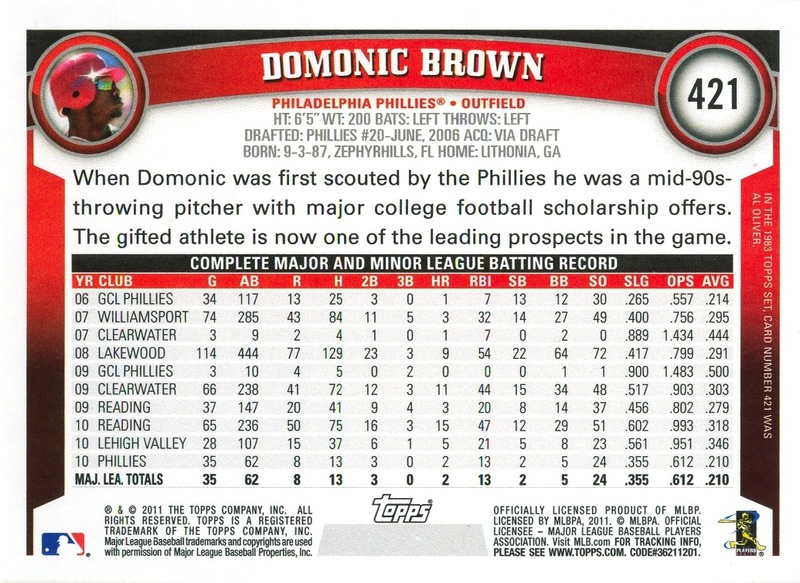 The marketing material issued by Topps before the set’s release used a different numbering system than the one that they actually used on the cards — these are the numbers that Beckett uses in its online guide. The numbers below are the ones actually on the cards, with the exception of Lee; Lee’s card number below is the one listed in the marketing material. That information will be amended once it is obtained. 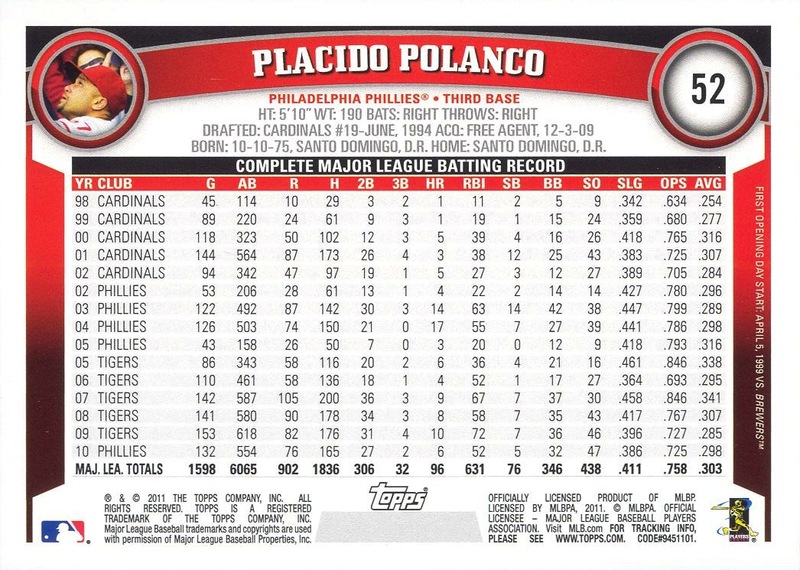 Because each card is serially numbered “1/1”, each letter in the players’ last names is listed individually below. 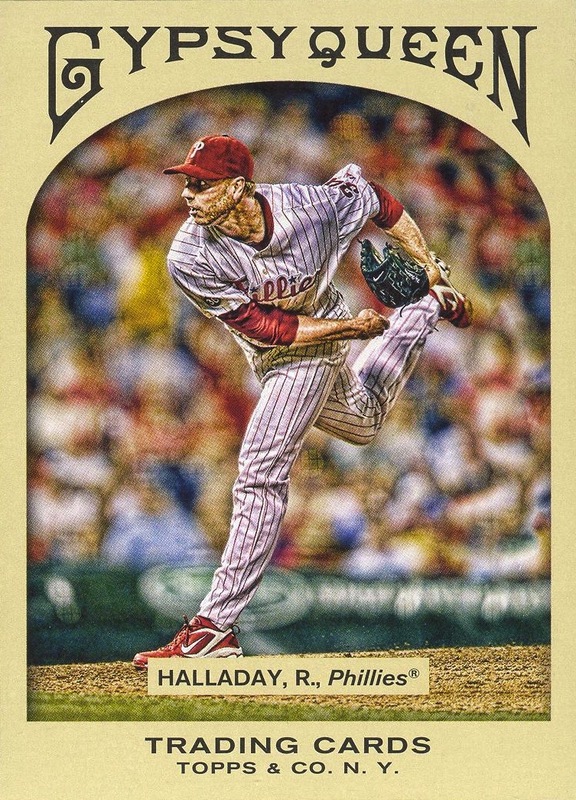 However, in the case of Halladay, for example, the three “A” cards are for all practical purposes identical. 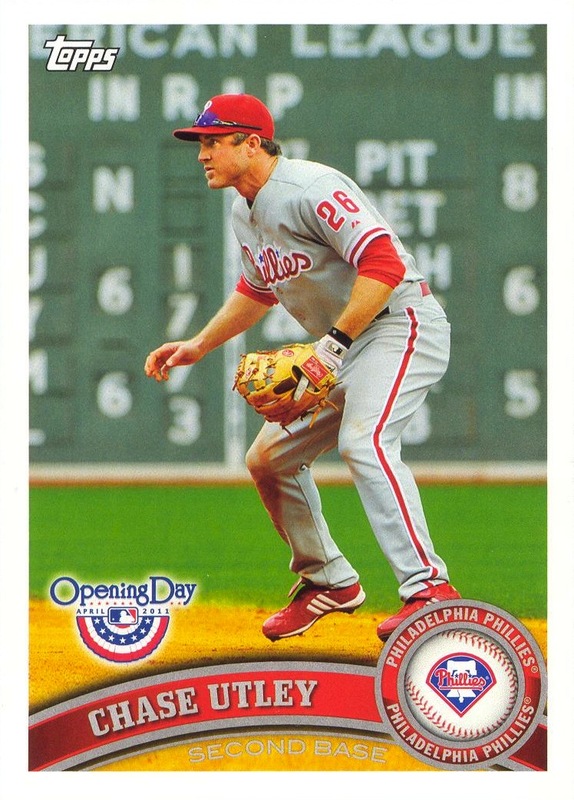 Almost just in time for the first set of 2012, I finally reach the pinnacle of my 2011 Phillies Card Year in Review series. I know that all the cool kids like to start their annual reviews sometime at the end of October when 1/6 of the year still remains, but waiting as long served two purposes. One, I had the opportunity to look over literally everything that arrived in 2011. I absolutely love, for example, when critics name their best books of the year when there are two months of books left unreleased. Yes, I know all about advance review copies, but that’s ignoring my point. How can you be certain if something is the best of the year if there are two frakking months left it in it? 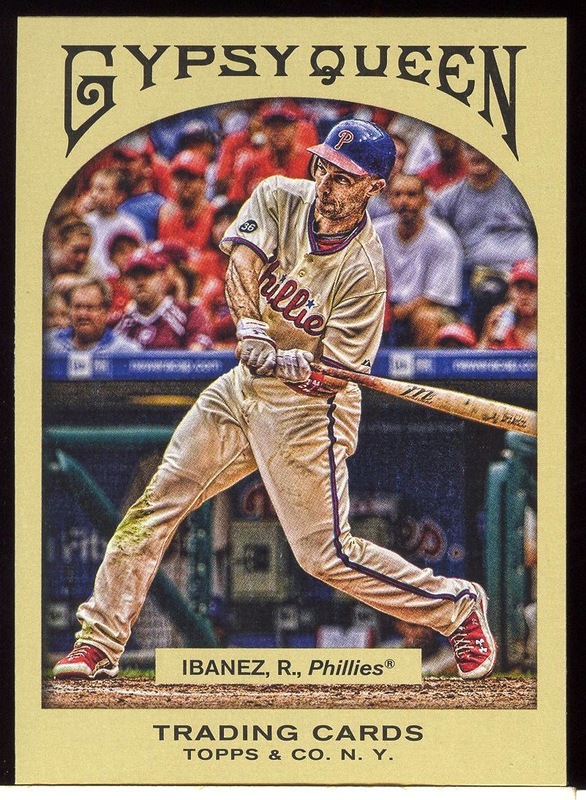 The other purpose is that drawing this series out gave me something to write about as I killed the weeks between the last of the 2011 sets and today’s release of 2012 Topps. I don’t believe I’ve hid my love for this set. I talked approvingly about it back at the start of this blog, and my while positive first impression came with a few reservations, the set really grew on me — so much so that I included a large number of cards from the set in the other categories in my review of the 2011 cards. Although I stand by my belief that Topps should have issued a set closer to the look and feel of the original Gypsy Queen cards, the treatment they applied to the photos on the cards gave the set a truly unique feel compared to all their other sets to date. I saw more than a few baseball card blogs complain about Topps issuing yet another retro set, but here’s the thing: unlike Topps’s Heritage offerings and all the various insert where they’ve reused designs from their past, the overwhelming majority of collectors cannot afford even one of the original Gypsy Queen cards. For most of us, this is going to be as close as get to them. My love for the set, however, extended far beyond the look and feel of the cards and their photos. One of the other things that made this set really unique was that all the inserts — whether they were plain, simple inserts or contained memorabilia and/or autographs — maintained the basic card design of the base set. 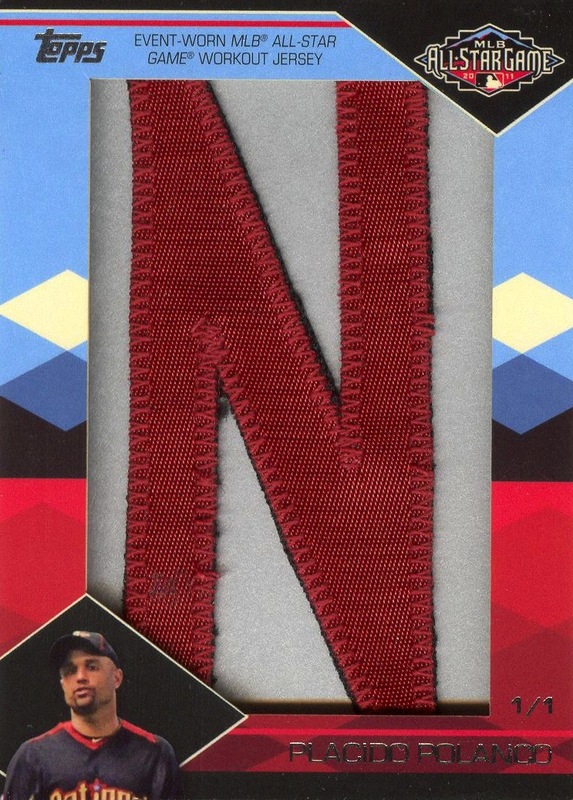 Even if all the card didn’t have “Gypsy Queen” in the same arched word-art at the top of each card, you would have recognized immediately, without a moment of doubt or hesitation, whether or not an insert came from the Gypsy Queen set. To me, this made it both fun and compelling to chase down as many of the various inserts as possible. It was a rare set in which you could mix the inserts alongside the base cards in a binder and they wouldn’t have looked out of place. In fact, you could theoretically do the same thing with the mini framed inserts, if you were of a mind to somehow excise them from the frame in which Topps encased them. 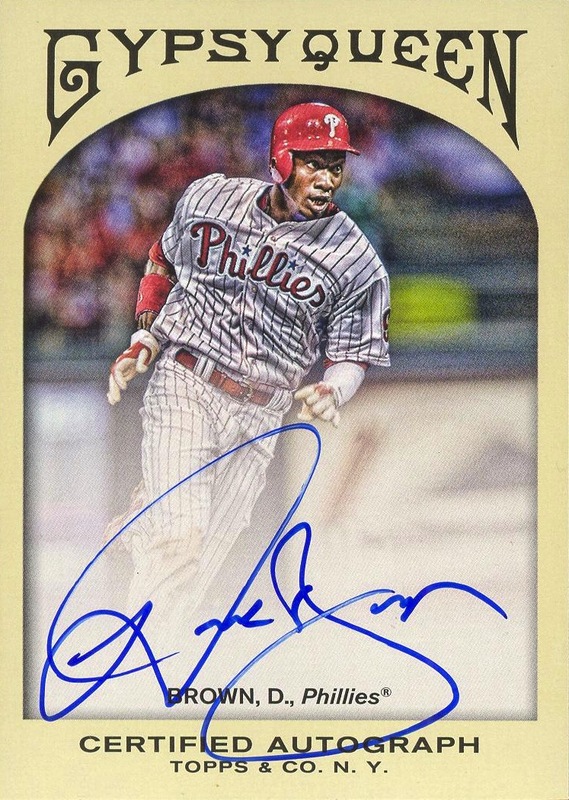 Admittedly, putting together a true master set of 2011 Gypsy Queen Phillies will be impossible — there were just too many autograph and/or memorabilia cards with ridiculously small print runs. 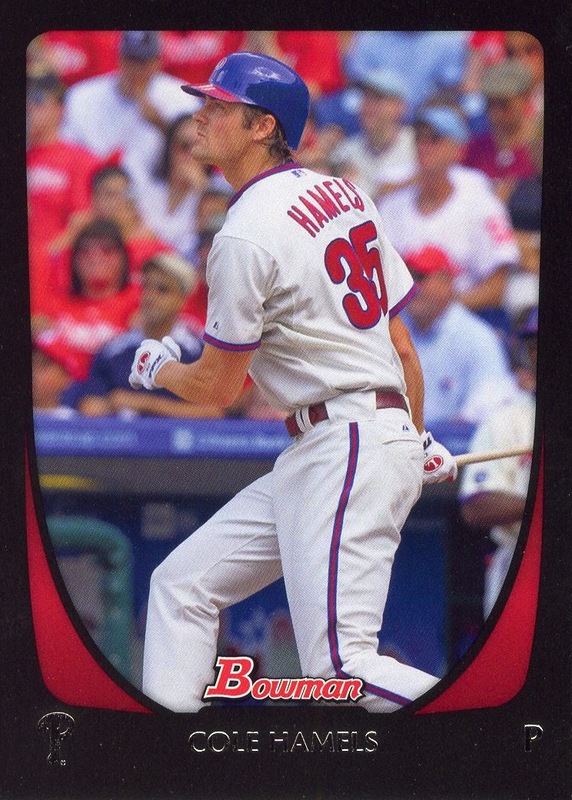 However, I really feel like Topps at least attempted to strike a balance because there were actually a significant number of those cards that I could afford. 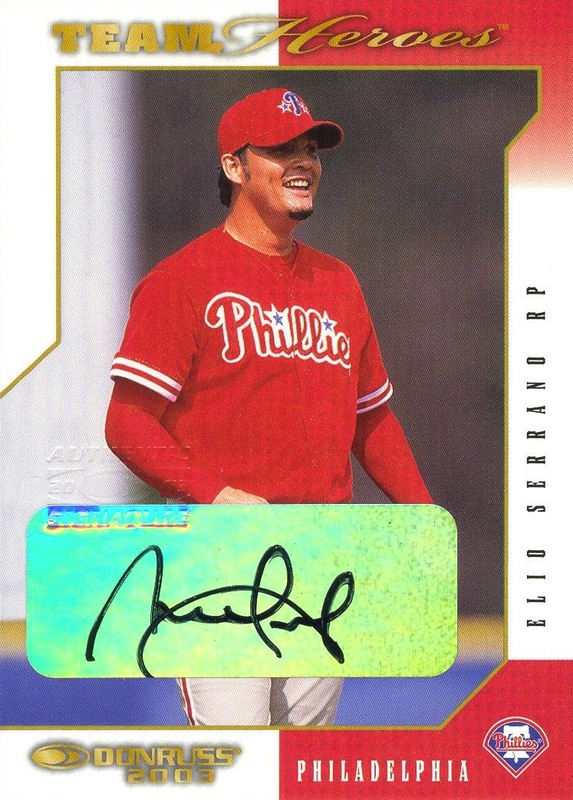 In fact, to the best of my knowledge, Topps also created much easier to find auto and/or memorabilia cards for all the players whom they created an auto/memorabilia card printed on an extremely limited basis. 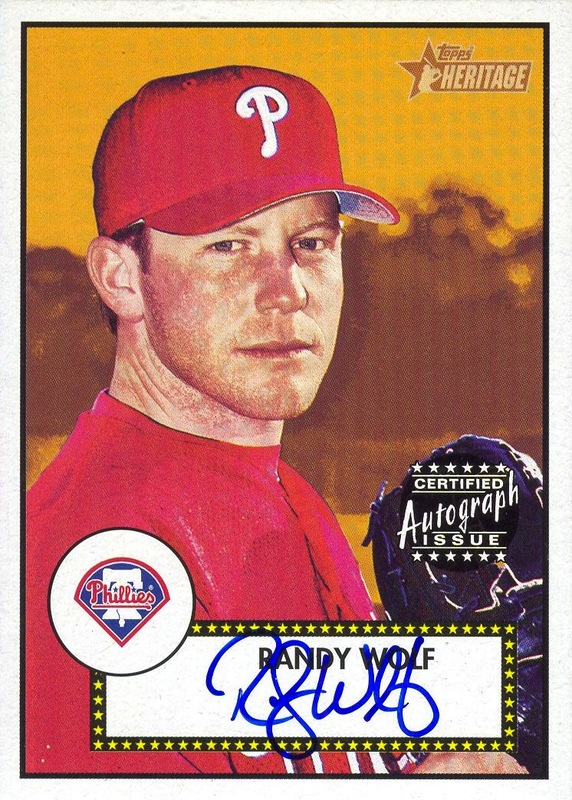 In particular, I’m referring to the autographed memorabilia cards with print runs of just 25 they created for Utley, Victorino, Howard and Halladay. For each player, you could much more cheaply acquire some sort of Gypsy Queen autograph or memorabilia card. You really can’t say that for any of the other sets made issued in 2011. With that, I’m finished with this series. I don’t expect everyone to agree with my reasons for choosing Topps Gypsy Queen as my set of the year, but I’m comfortable with the decision. 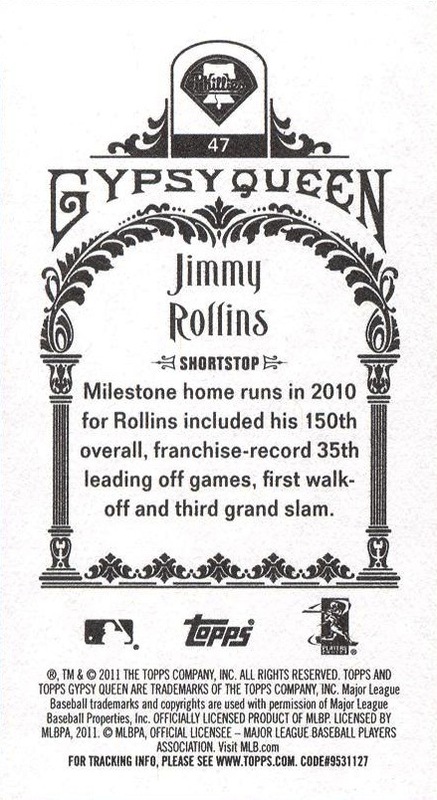 Topps has already announced plans for a second Gypsy Queen set this year, and I sincerely hope that all the elements that made the 2011 set so wonderful return in the upcoming issue. Back when I came up with my original list of topics for this series, I thought it might be fun to take some time to focus upon the part of the card that so many baseball card blog neglect. 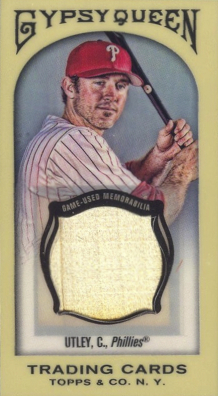 This blog is no exception — far more often than not, when I post a baseball card’s image, I only provide the front of the card. 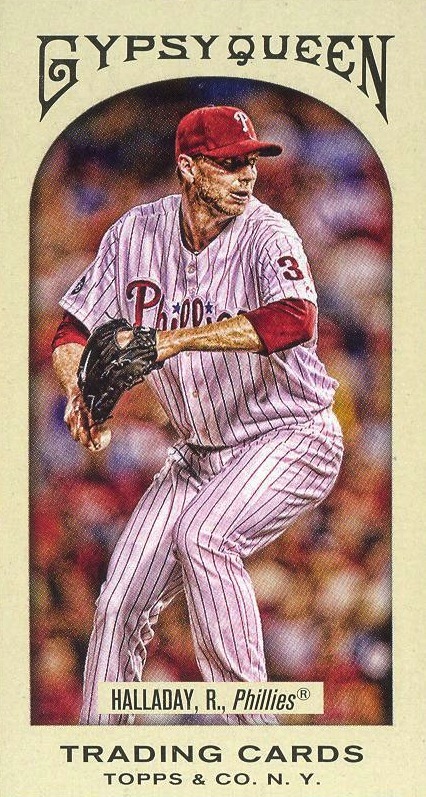 In fact, a review of all my 2011 Phillies Cards in Review posts thus far shows that I’ve posted the back of the card only once over the course of the series. However, now that I’ve made it to this particular topic, I find that my enthusiasm for it has ebbed significantly. Although I won’t be declaring any set as bearing the best back design of the year, I feel that there is still merit in noting some of the highlights from the side of the card you rarely see on the net. 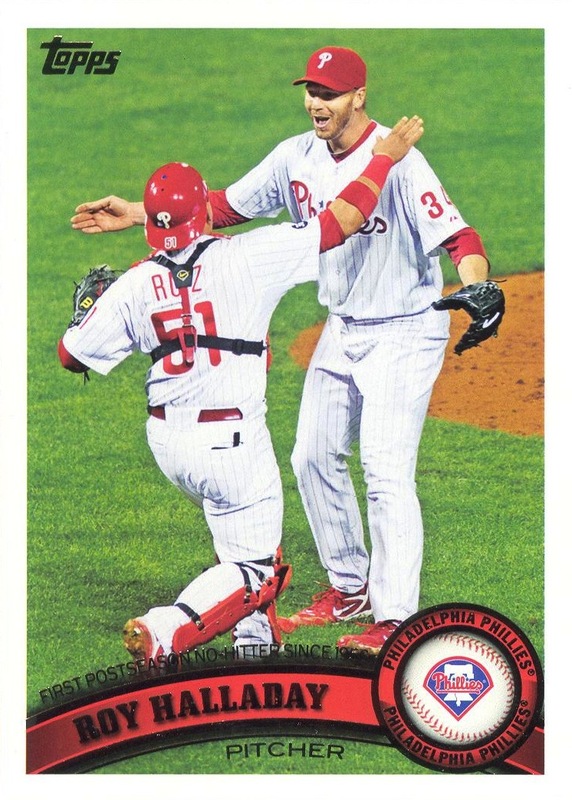 Along those lines, I feel like that Topps did a decent job of creating a back for its Gypsy Queen release. Like the overwhelming majority of cards issued during the 19th century, the original Gypsy Queen cards were blank-backed. 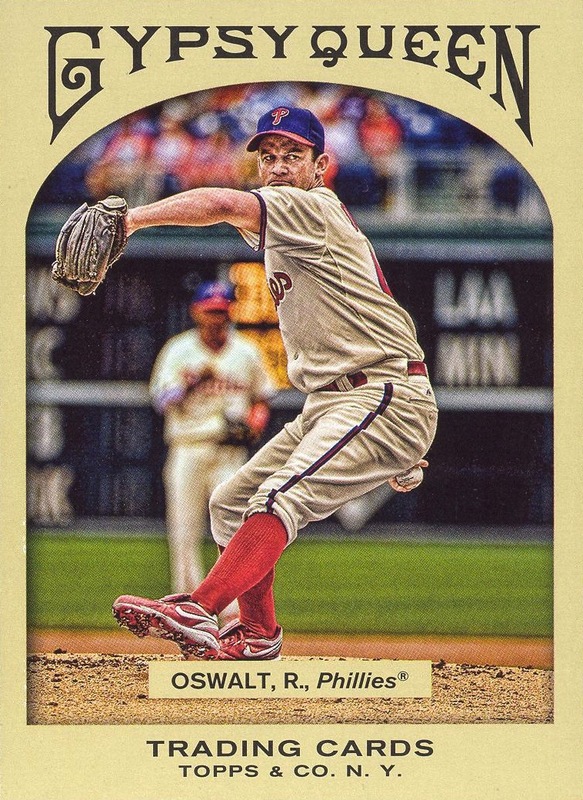 If Topps was going for a faithful reproduction of the originals, I would likely have preferred their version of the card did the same. 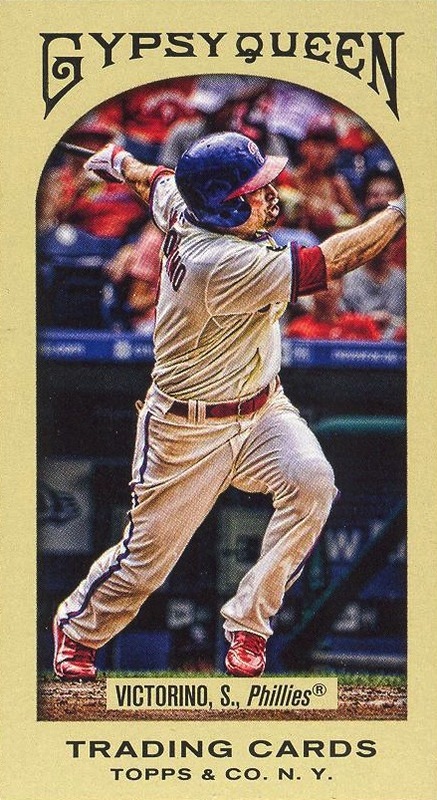 However, Topps put a modern spin on the photos in the design which justifies catering to modern collectors expectations regarding some sort of design on the back. However, I did have a minor complaint: their insistence on maintaining the block of legalese they’ve recently crafted for their cards really does detract from the overall look on the back. 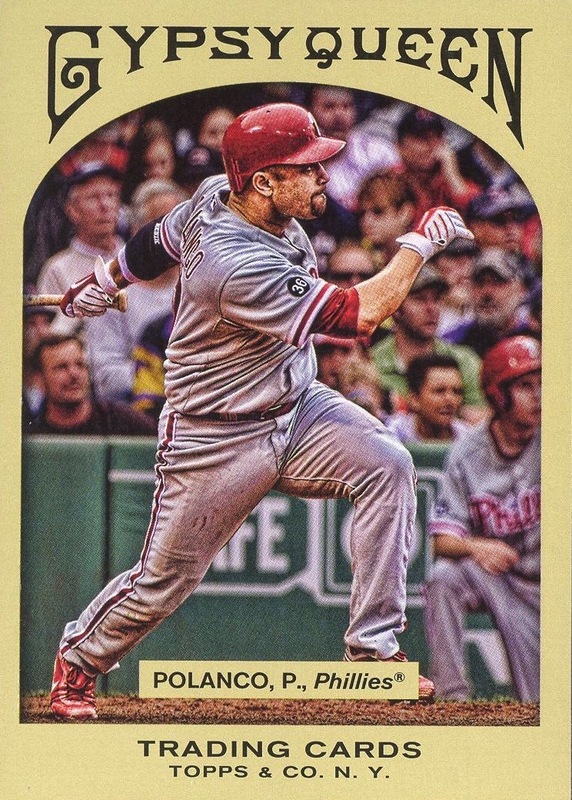 I do not know why Topps insists upon it — but if the lawyers from either MLB or the MLBPA insisted upon it, then the legal profession really has run amok. For the It Just Needs to Be Said As Often As Possible Department: the backs of the Lineage design clearly suggest that after spending so much time actually caring about the backs on Gypsy Queen and their flagship Topps brand, Topps decided to phone it in and take it easy for a while. It wouldn’t surprise me to find out that their graphic designers were required to focus their creative energies instead on either a WWE set, a Garbage Pail Kids Flashback series, or some other monstrosity that really wasn’t worth the time or energy wasted upon it. 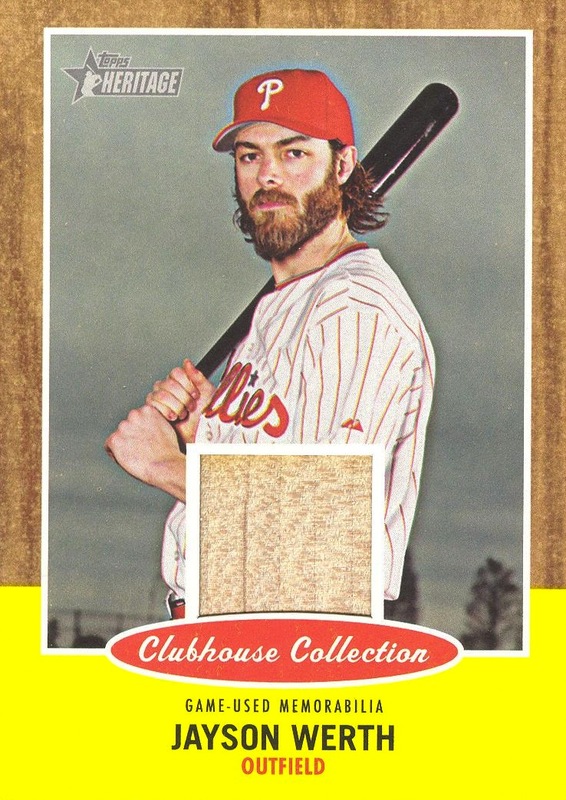 Finally, the last card back I’d like to comment upon is the one Topps created for its Heritage Clubhouse Collection Game-Used Memorabilia inserts. 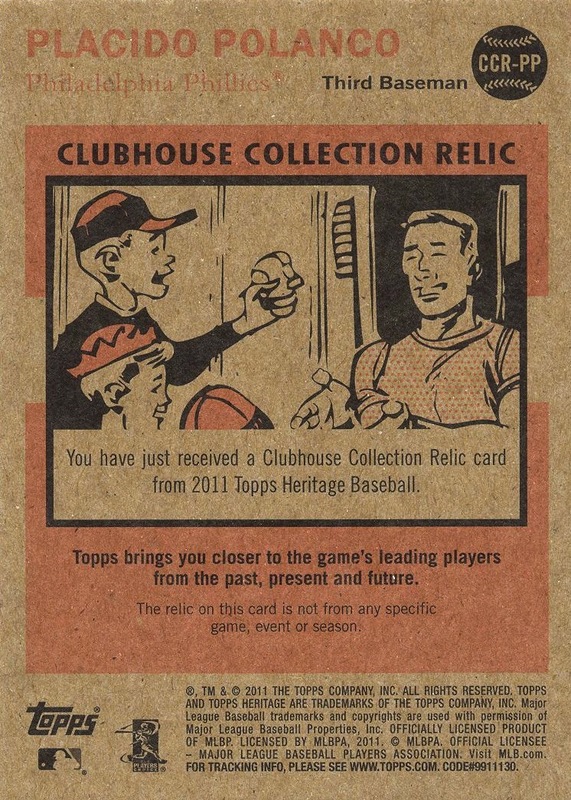 I don’t know for certain whether Topps adapted the illustration from a vintage issue (it’s too detailed to be an original cartoon from the back of a 1962 Topps card) or created it especially for this particular series, but it was a really nice touch that helped ensure the cards carried the flavor of the 1962 design. 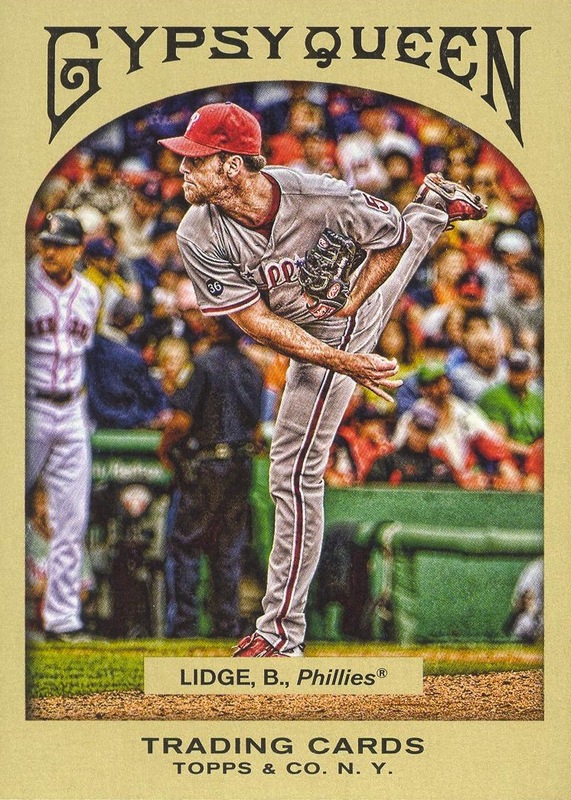 It would have been nice to see something specifically tailored for the player on the front of the card — or even to have anything more than just the player’s name, team, and position — but when you compare it to what was created for the Lineage brand, it almost have to be thankful that Topps at least made the effort. At this point, I’m down to just the Best Card of the Year and Set of the Year — the two posts I’ve been the most looking forward to writing. 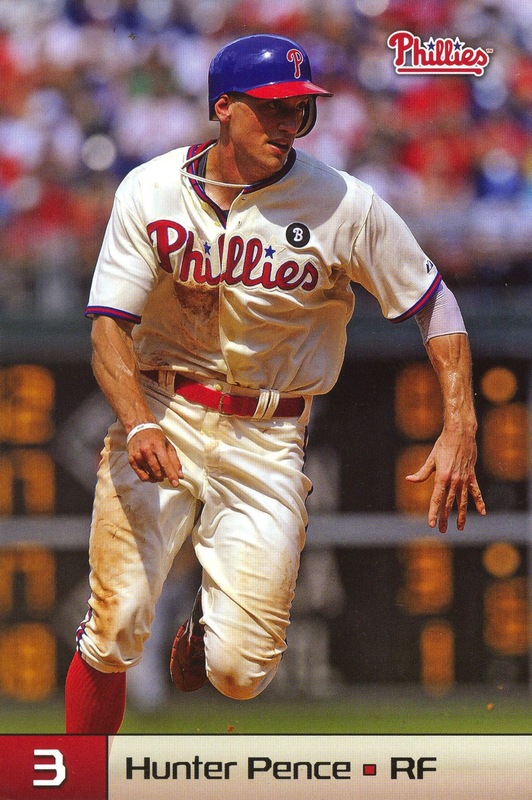 Furthermore, it looks like I’ll even get them finished before the 2012 Topps cards start appearing in my local Target. The major impediment to selecting my autograph card of the year reared its ugly head when I looked over my 2011 memorabilia cards: I just didn’t purchase that many this year. 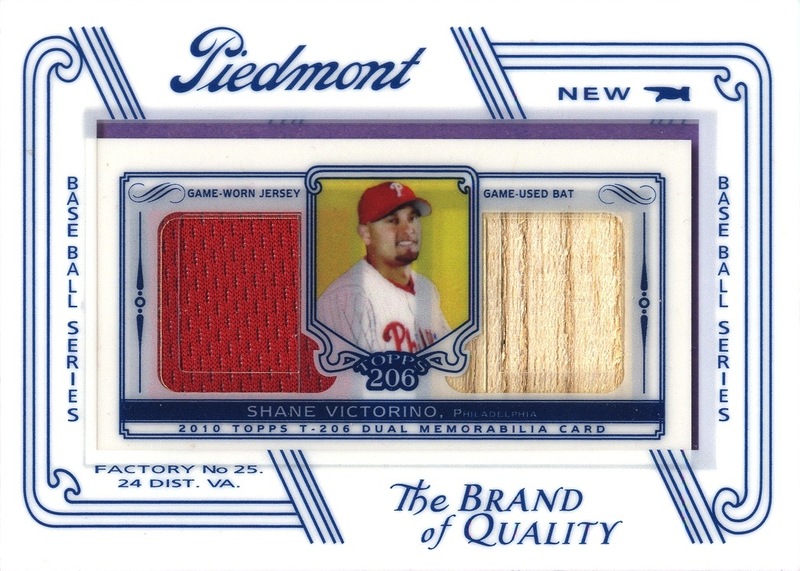 I think a lot of this had to do with the fact that during 2011, Topps saved most of its Phillies game-used cards for its high-end products. At least, that’s where they seemed to focus their truly creative memorabilia card offerings. Unfortunately, like all their high-end product, these cards were printed in such small numbers that they were too cost prohibitive for me to really obtain any of them. 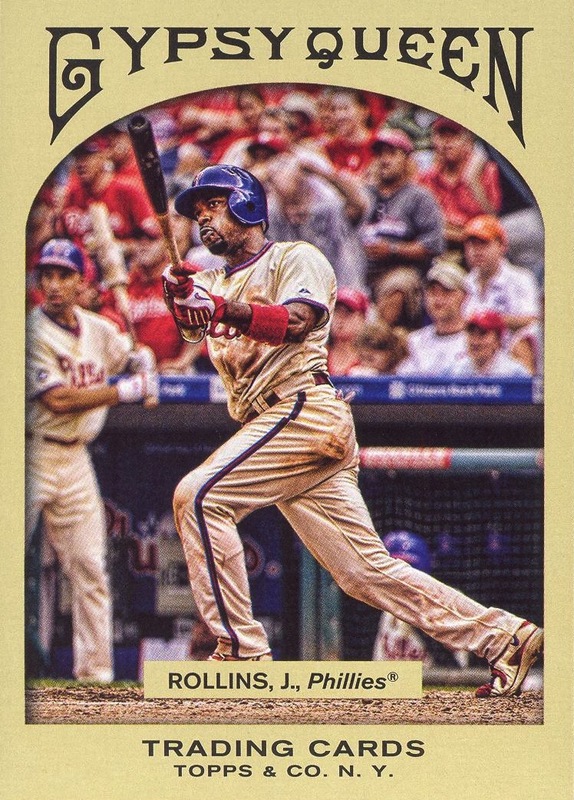 Otherwise, I assure you that one of the Utley-Rollins-Howard or Halladay-Lee-Hamels joint memorabilia cards from Triple Threads would have made it into this post. Beyond that, there was another issue at play: the game-used cards in Topps’s more mainstream sets (i.e., Topps, Heritage, Allen & Ginter’s, and Gypsy Queen) were rather pedestrian and relatively basic, thus providing little excitement. Topps didn’t even provide the courtesy of offering a double-swatch card in any of these sets, like they had in its 206 set the year before. To add insult to injury, Topps’s insistence on using an absolutely identical generic card design for multiple different types of memorabilia swatches comes across as monotonous and… well, here’s the word I’ve applied to Topps many times since the start of this blog… lazy. Literally, the only difference between the two cards is the memorabilia swatch on the front. The backs are identical — right down to the card number on the back. 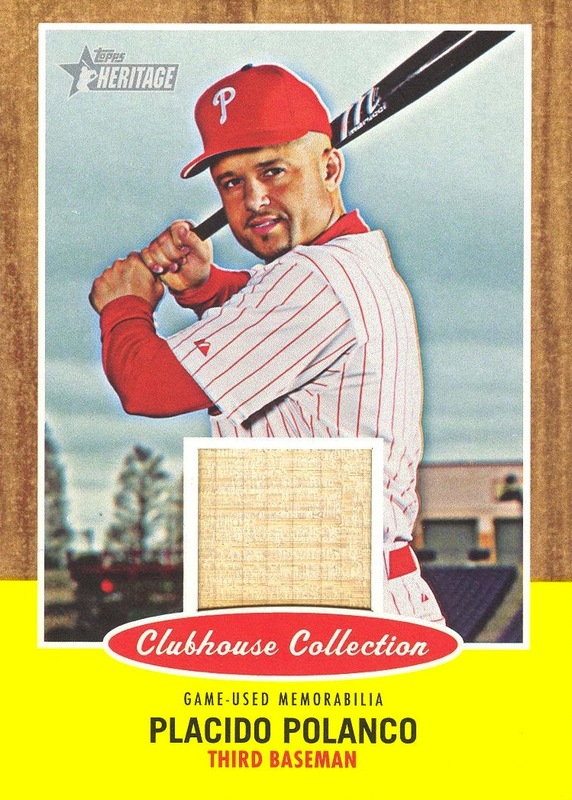 As boring as that looks, just imagine what it looks like to place all three of Victorino’s Allen & Ginter’s Mini-Framed Relics cards next to each other (the three different types are bat, batting practice jersey, and road jersey). 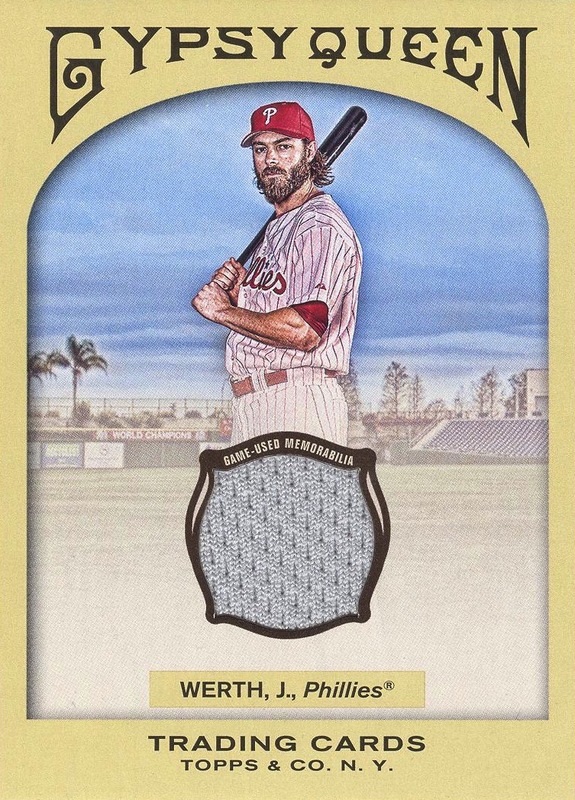 Discounting parallels, Topps only issued three cards in 2011 depicting Werth as a member of The Fightins. 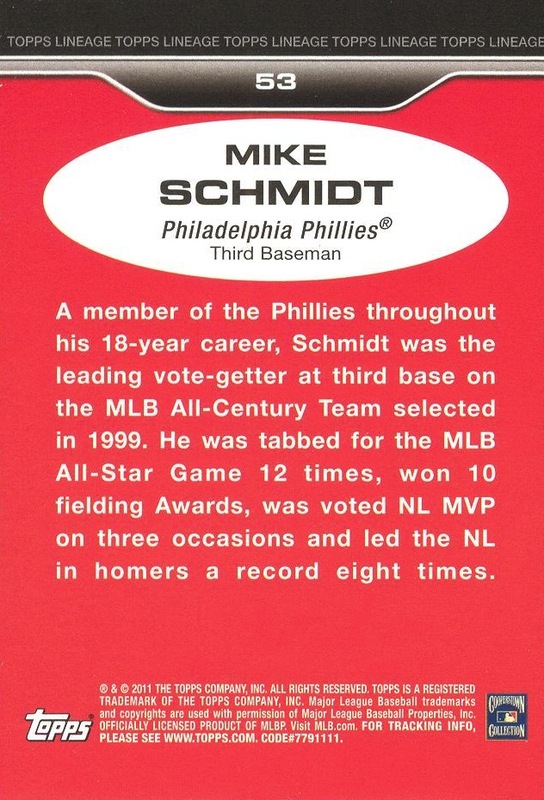 Their archives contain four years worth of photos showing him in a Phillies uniform, and yet they still decided to use the exact same photo for his last two cards depicting him as a Phillie. 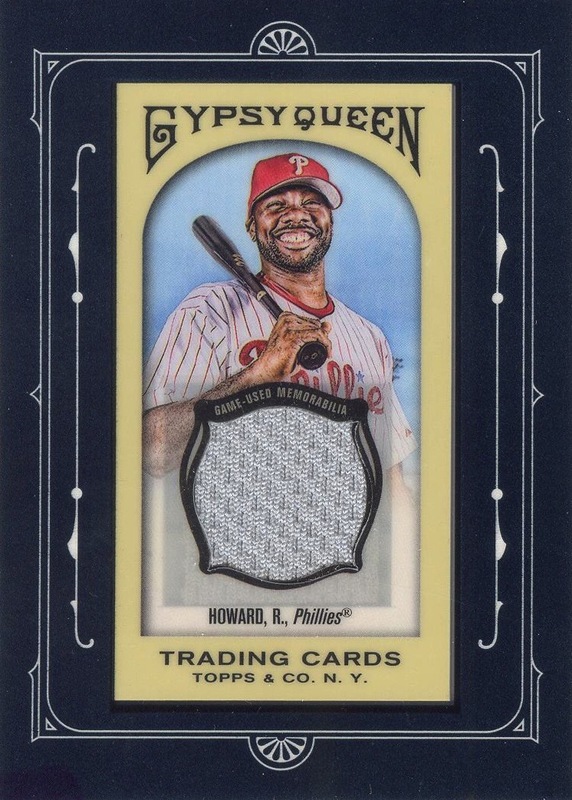 For that reason alone, I felt compelled to rescind my decision to make his Gypsy Queen jersey card the Phillies memorabilia card of the year. 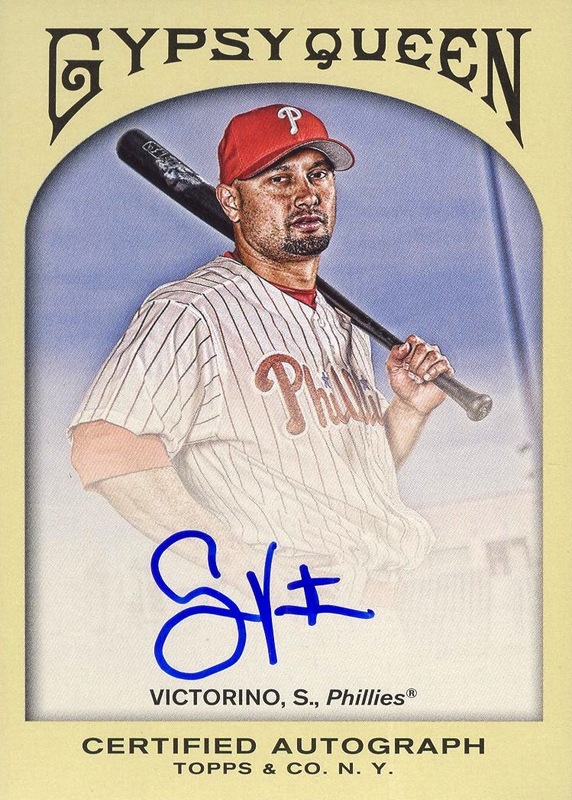 I absolutely refuse to award Topps for its utter laziness — yes, there’s that word again. 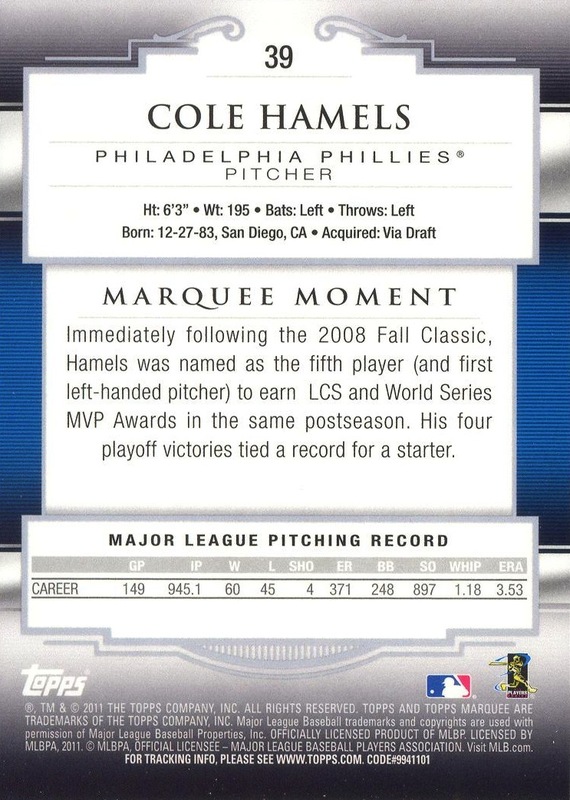 As a result, I am not actually bestowing any card with the honor of being selected as the Memorabilia Card of the Year. The sad fact is that it was an uninspired year for game-used cards. Nothing I added to my collection in 2010 stood out in a manner worth noting. 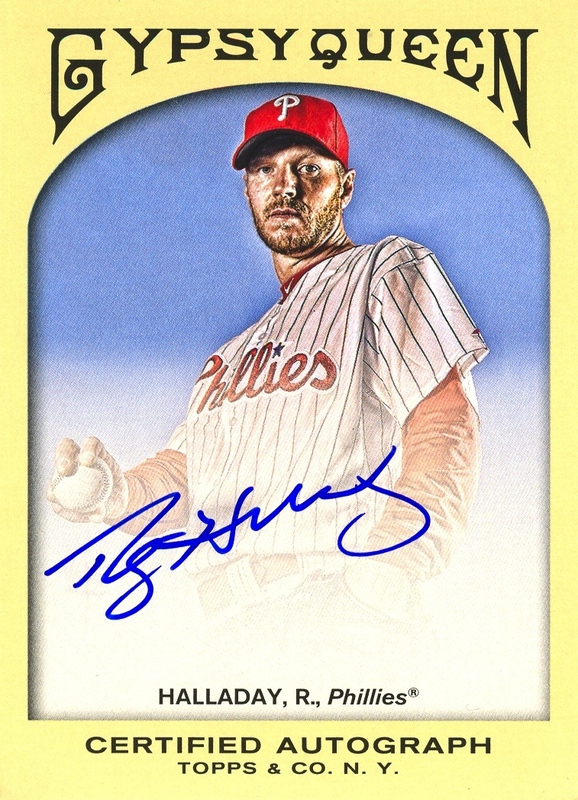 I certainly hope for something better this coming year, but at the same time, I’m not really expecting improvement from Topps. As I said numerous times before, their MLB-sanctioned monopoly gives them no incentive to improve their product — so why should they? In fact, as their competition decreased over the past decade, so did the quality of their product. Unfortunately, there are no signs that MLB intends to end the status quo at any time. It’s almost enough to make me wish I was collected football cards instead.